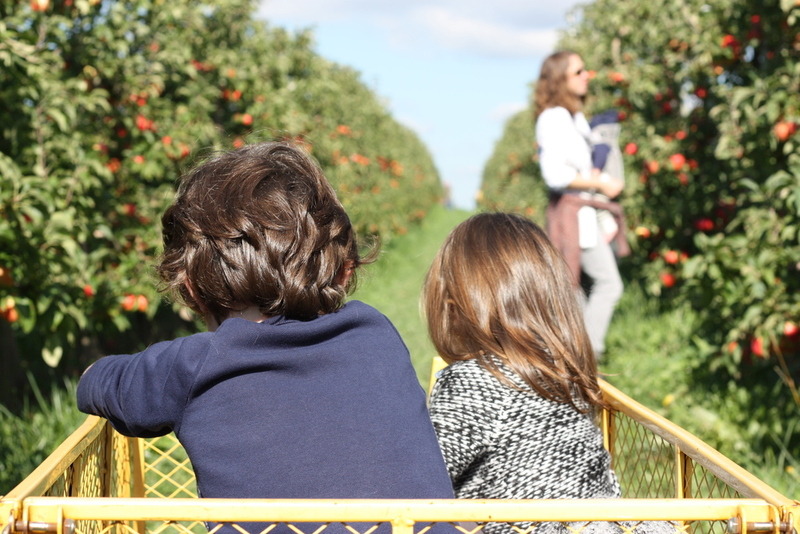 This past Sunday, we made our annual trip up to Bellewood Acres for apple picking with dear friends. The weather was perfect- sunny and warm in the sun, cool in the shade. The children loved playing on the old tires and in the wagons as much, or maybe more, than picking apples. We chose to walk out to the orchards this year rather than ride in the tractor and Rigby appreciated the stroll as a chance to fall sleep. 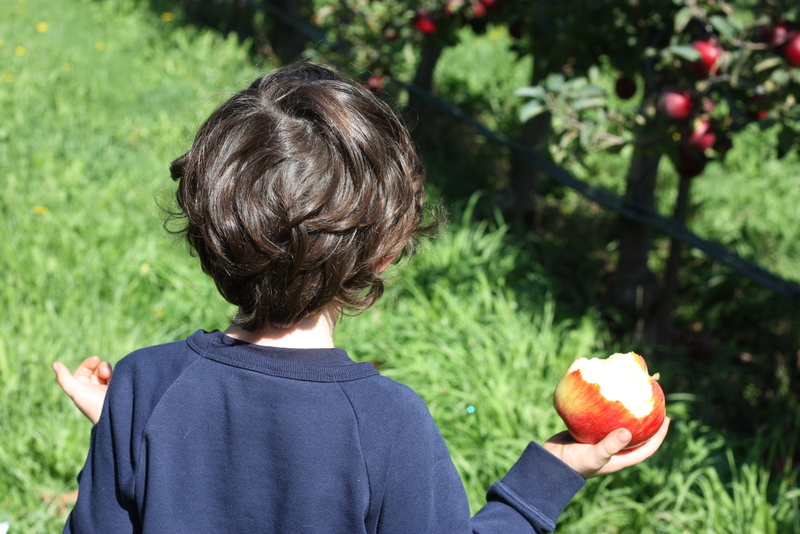 We picked twenty pounds of apples. I have already made plans for about half of them (hopefully the recipes will be yummy enough to share...stay tuned), but I have equally ambitious plans to enjoy many without alteration, aside from a big scoop of peanut butter for dipping them into. Oh, and I keep dreaming of the frozen boozy cocktail I enjoyed post apple picking- apple cider blended with Bellewood Distilling gin and served in a mason jar. So delicious and refreshing. I may have to make one more trip up there just to grab a bottle of apple gin or brandy for our home bar. P.S. Our trip to Bellewood Acres from 2013.